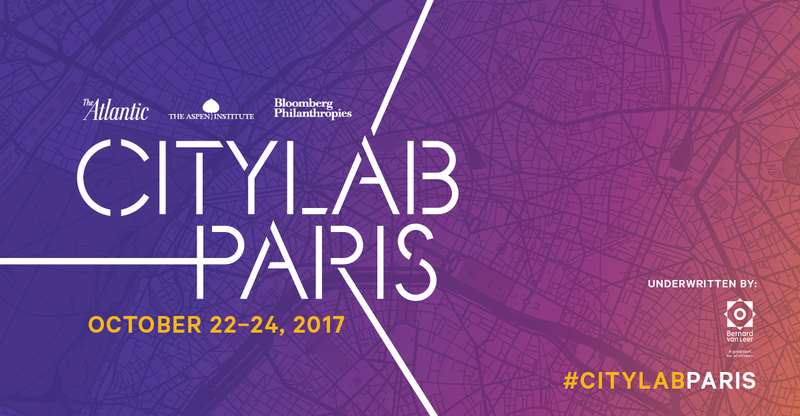 The Bernard van Leer Foundation will join a community of leading thinkers in Paris for CityLab: Urban Solutions to Global Challenges later this month. In partnership with the Aspen Institute, the Atlantic, and Bloomberg Philanthropies, the event will bring together a wide range of change-makers to tackle the shared challenges of making cities more vibrant and liveable for all. CityLab Paris will enable BvLF to put innovations in making cities places where young children and their families thrive onto a global stage, alongside experts from fields including climate change, cybersecurity, transportation, terrorism, migration, and social and economic mobility. If you could experience the city from 95 cm – the height of a 3-year-old – what would you change? Identify innovations through our Urban95 Challenge small grants programme. From safer road crossings in Mexico City to spaces where babies and toddlers play while their mothers meet in Mumbai, we’re shining a light on dozens of new ideas to improve how children live, learn, and play. Forge multi-year partnerships with 10 pioneering cities committed to taking promising practices from pilot to scale. With our technical and financial support, cities will launch new efforts to provide parent coaching, create public green space, increase families’ options to move safely around their communities, and use data to inform decision-making. So far, we have launched partnerships with Bogotá, Colombia, Tel Aviv, Israel and Bhubaneswar, India. Introduce the needs of young children and their families to the global dialogue about the future of cities through partnerships with city-focused research and training institutions, trade publications and convenings. That’s why we’ll be at CityLab!